RCA Records. Her first single “Chasing the Sun”, written by Colbie Caillat, Jason Reeves and Toby Gad and produced by Toby Gad, will be available at all digital music providers on July 29th. The single is available for pre-order now. The music video for “Chasing the Sun” will also premiere on VEVO on the same date. After taking a long break from the music industry, Hilary is currently in the studio finishing up her highly anticipated RCA Records debut , which will be her 5th studio album and is due out this fall. “I took a break from music for quite awhile, but it gave me the power to choose my next steps carefully and I’m really proud of the album I’ve made. 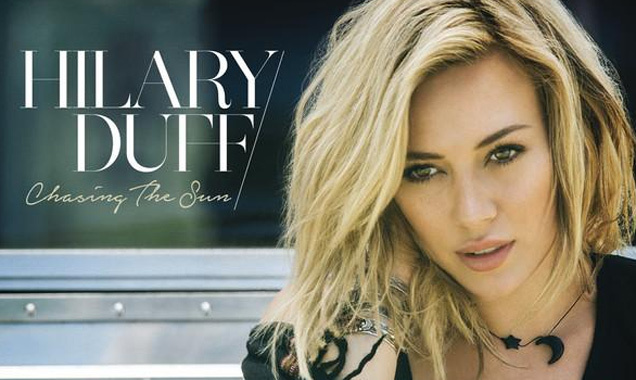 ‘Chasing The Sun’ is a light and fun summer song that I hope helps people to feel a little more carefree,’ states Duff. “Hilary Duff is a global superstar, a talented singer, actress and performer and we are thrilled to welcome her to RCA Records,” says Tom Corson, President & COO, RCA Records.